So we have started this new squat challenge with the girls in the group. Of course I was motivated by my co-worker and decided to do one outside of work too. Someone please remind me how crazy I am, definitely an overachiever. I did cook a lot this weekend and have few recipes to share here. I found this big tube noodles I forgot the name of them *sigh* and I thought of stuffing them with something. The inspiration didn’t come until I saw mushrooms going bad in the fridge. So I decided to stuff them with mushroom and ricotta mixture. I sautéed the mushrooms first and then chopped them up in a chopper along with ricotta. Though I have to say as I was making the sauce and chipping onions for the tomato sauce, I was taking care of my squats too. So chop an onion do ten squats, stir and do a squat. It was an interesting cooking day. 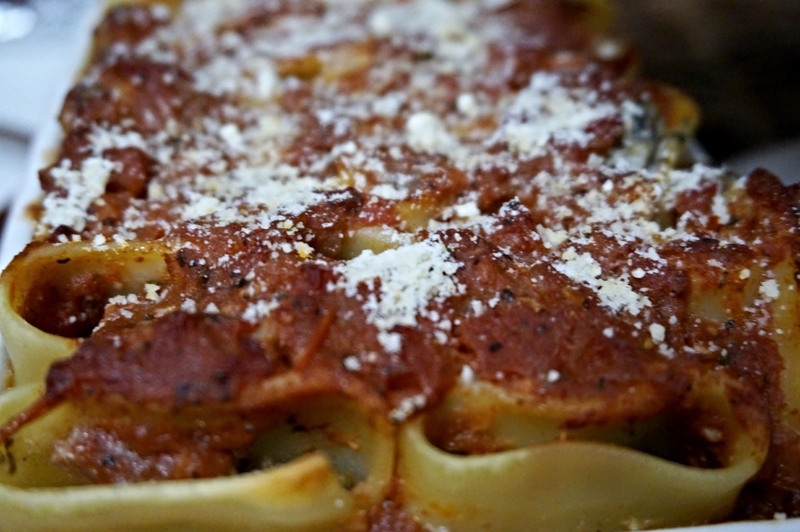 So for this recipe I used huge tube pasta and stood them up straight in the baking pan. As I wasn’t following any recipe here, halfway through I ran out of mushroom mixture. But worry not you should have enough, it could have also something to do with me eating it while cooking that might have caused the shortage. 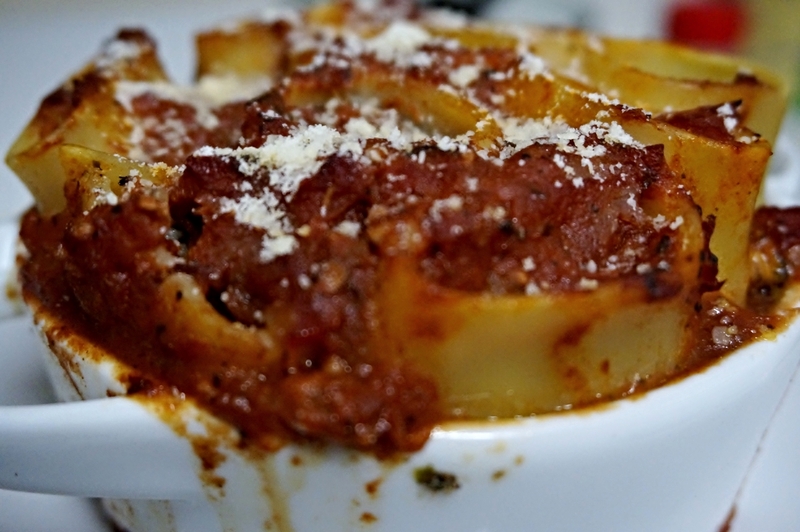 Here is the recipe, enjoy and you can very well use the same mixture with lasagna sheets or any other pasta. 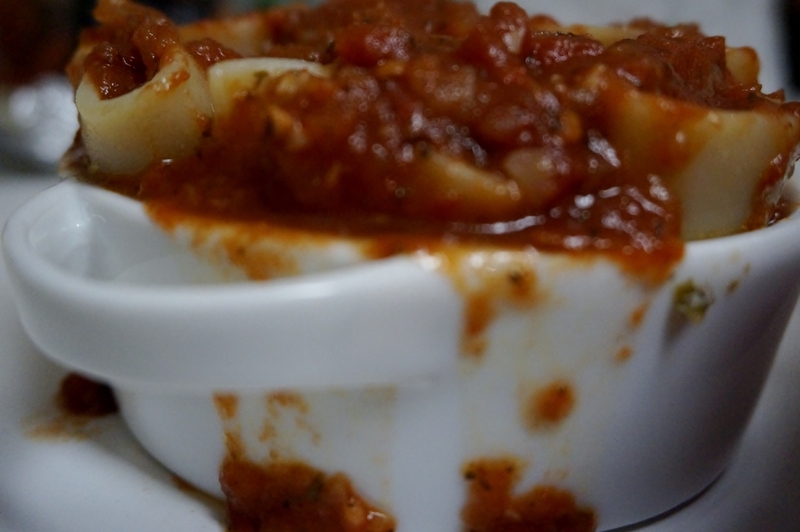 With other pasta I would mix the sauce and ricotta mixture together to make it a creamy mushroom sauce. Heat up a decent size pot, add EVOO to the pot. 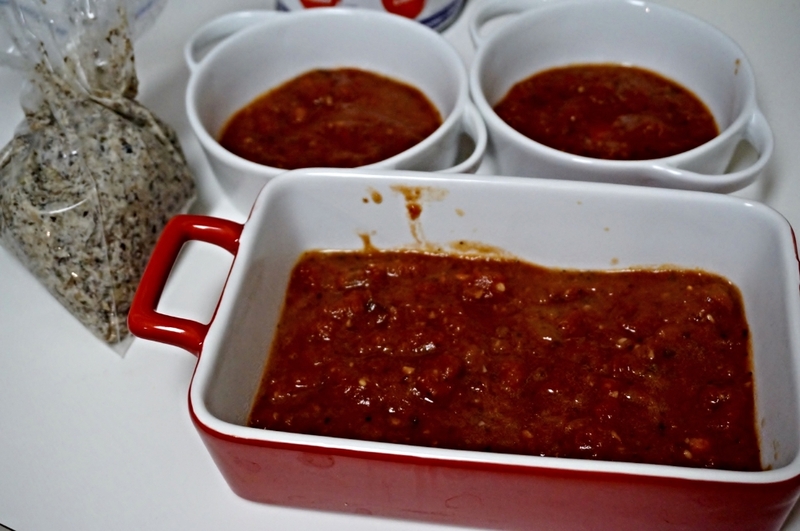 When warm add red chili flakes, onions. When onions have some color to it, add basil and parsley along with the garlic to the pot. Sauté it for a little while to take the raw flavor out of garlic and release the dry spices flavors. Add the tomatoes to the pot, wine and water. Add salt to taste. Let the sauce boil for an hour or so on low to medium. Stir occasionally (feel free to do squats while you do that). While the sauce is bubbling away you can make the mushroom mixture. Heat butter in the pan; add all the ingredients to the pan. Let it dance together, till the mushrooms melt. Cool the mushroom a little. Grind the mushroom and ricotta together. Taste taste and taste some more. But don’t taste it so much that you run out of mixture. Preheat oven to 350 F. Boil the pasta to almost done, remember to keep it a little uncooked. We will finish this off in the oven, do not want overcooked pasta. I think all the Italian chefs will attack me in their thoughts. After the pasta is boiled, be careful as they will be hot. 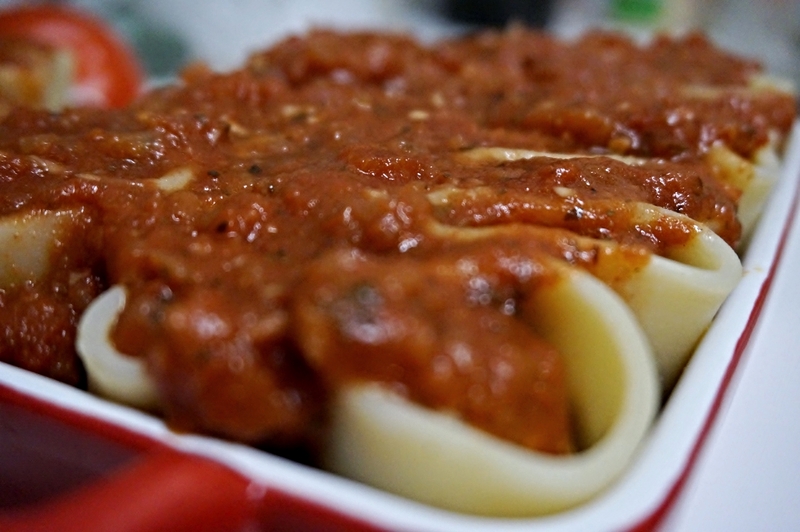 Layer the pan with tomato sauce, line the tube standing up. Fill the tubes with the ricotta mixture; I used a plastic bag to stuff. Top it off with the sauce again, enough to soak the pasta. Bake it for about 15 minutes. If you do choose you can top it off with cheese and broil it a bit, but that choice I leave it to the chef inside of you! Don’t be afraid to mix it all up and make it your own.